For spacious accommodations that are classically furnished, located on the oceanfront and in close proximity to all the popular North Myrtle Beach family attractions, visit Sedgefield North Myrtle Beach resort. These three-bedroom, three-bath North Myrtle Beach vacation rentals are designed for up to eight people. 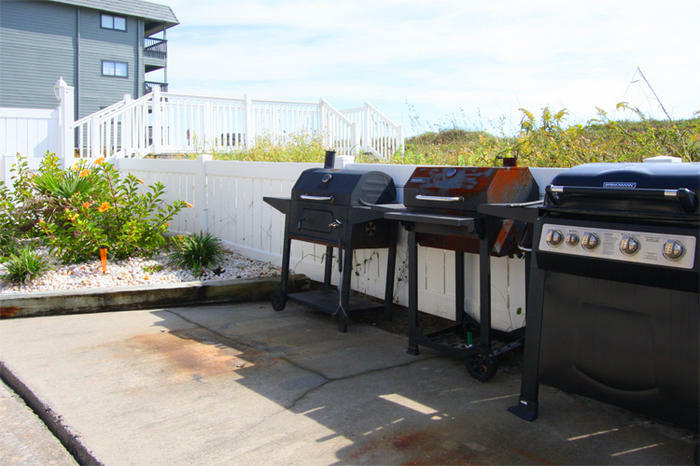 Full-size appliances in the kitchen of these condos in North Myrtle Beach, SC, spacious living area and nicely decorated throughout, these North Myrtle Beach vacation condominiums are more than a place to sleep each night of your North Myrtle Beach vacation. They are a North Myrtle Beach vacation headquarters that overlook the Atlantic Ocean. The sparkling blue swimming pool is as inviting as the sound of the crashing waves at the oceanfront. The biggest decision you might have to make in any one North Myrtle Beach vacation day is whether to lounge poolside at this North Myrtle Beach resort or carry a beach chair to where the ocean water can lap at your bare feet. At Sedgefield it really is all about rest and relaxation, though there are plenty of oceanfront and North Myrtle Beach, SC activities to entertain you whenever you want. Cast a line from the fishing pier that is just down the street and learn the ins and outs of pier fishing. The views of the North Myrtle Beach and Myrtle Beach skyline are beautiful from that vantage point that extends into the Atlantic Ocean. Wake up early and catch a sunrise where the South Carolina sky turns gorgeous shades of purple, pink and orange each morning. A long moonlit walk on the beach is one of the most romantic ways couples celebrate their North Myrtle Beach vacation—kick off your shoes, roll up your pants and walk hand in hand as the moonlight dances atop the rippling waters. North Myrtle Beach, South Carolina is widely known for its huge selection of golf courses and while you reside at Sedgefield, you are only minutes away from some of the best courses the North Myrtle Beach, SC area offers. Elliott Beach Rentals is not affiliated with onsite management or the HOA of Sedgefield.